• Some people (perhaps even a majority of the human race) will not be saved. Each person is judged once and for all at death and given either eternal life or eternal condemnation. • Hell is a place of endless, conscious punishment for sin. This punishment is sometimes interpreted literally (physical torment) and sometimes metaphorically (a state of being, spiritual suffering, separation from God). • Once a person is in hell, there is no exit. • Some versions of this view argue that there are variations in punishment depending upon the severity of a person’s sins. • Some (Calvinist) versions emphasize God’s sovereignty in punishing those whom he chooses to punish, while other versions emphasize the freedom of human choice. 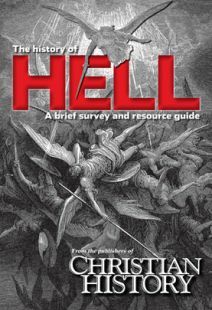 • The Roman Catholic view distinguishes between hell and purgatory, a place of temporary purification for those who are destined for heaven. Some people will not be saved. • The human soul is not naturally immortal. Eternal existence is a gift of God to the redeemed. • The unrepentant will be punished, but this period of conscious punishment will be temporary. • At the final resurrection, the unrepentant will be destroyed and cease to exist. The biblical “fire” of hell is a consuming, rather than tormenting, fire. • Some conditionalists believe that after death a person will receive a second chance to accept or reject God. All people will eventually be saved, and God will restore the creation to perfect harmony. • Eternal punishment contradicts the love of God, since God wills the salvation of all and has the power to overcome sin and evil. God’s love is stronger than human resistance. • If there is a hell, it is not eternal. Punishment is temporary and remedial, leading the sinner towards repentance and union with God. • Even the devil can ultimately repent and be saved. • Some theologians throughout history have maintained a more cautious “hopeful universalist” stance: We cannot say dogmatically that all will be saved, but neither can we deny the possibility.